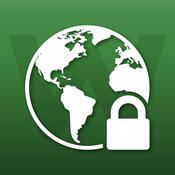 The FREE Webroot SecureWeb app for iOS protects you from malicious web sites and content with real-time anti-phishing protection that enables you to customize your protection level. Features an advanced URL reputation database, improved tabbed browsing and password management. Which Websites Support Two Factor Authentication (2FA)?